This new feature allows Billers to adjust time preferences for encounters in the Desktop Application. 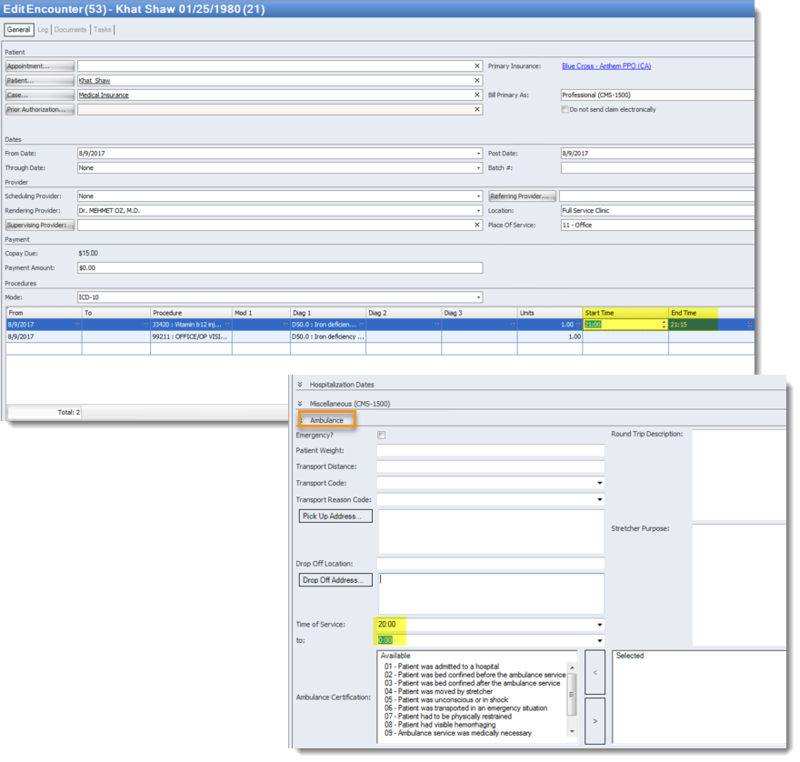 You now have the ability to choose between a 12 hour or 24 hour time format for encounter data entry. Please note that this update will not affect any of the calendar appointment views. Upon selecting this option from the dropdown and saving, all times for all encounters will switch to the 24 hour format. Previously entered encounters will display the time in the converted format. 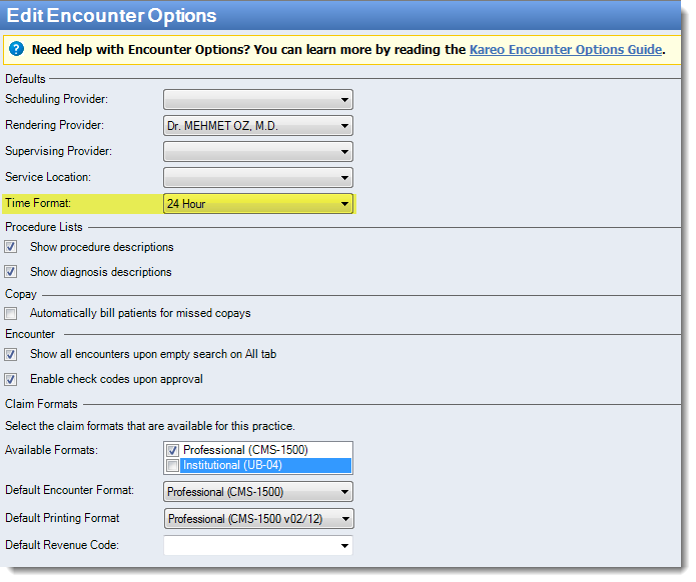 From Settings > Options > Encounter Options > Time Format, select the preferred encounter time option from the dropdown list. When creating a New Encounter > The start and end times for the procedures can now be entered in the 24 hour format. In addition, this new feature applies to the ambulance times as well. You now have a new option to select the time of service from the dropdown list menu. New banner alert for select Billing customers as a gentle reminder to complete final actions to re-route remits from change healthcare to TriZetto to ensure there are no delays in the posting of their remits. The banner message will display next steps needed to take action. In time, an ERA restriction notice will appear, and payment posting will be disabled for the Change Healthcare remit file until ERA enrollment is updated. Last year, Kareo announced our partnership with TriZetto Provider Solutions for its clearinghouse services and this requires enrollment completion to register them as their authorized clearinghouse in order to send claims and receive ERAs. For next steps, visit our TriZetto Migration page. This new feature enhancement provides additional data to the "Encounters Detail Report" delivering information in the desktop application for the Biller to easily identify concurrency and the number of concurrencies in one location. Whenever the "start" and "end-time" is entered on an encounter, that data will show up on the "Encounters Detail Report" along with the indication of concurrency when the time overlaps with another encounter procedure. For this enhancement, Kareo has added specific colors to represent the appointment status for all patients scheduled in the Desktop Application. These changes can be seen on the "Daily Calendar View", "Workweek Calendar View" and the "Weekly Calendar View". 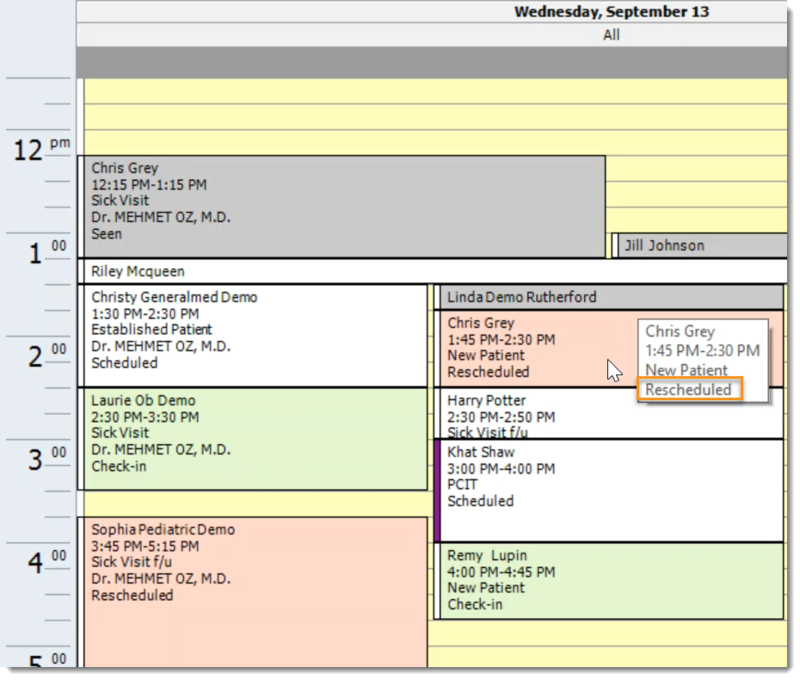 Hover over the appointment and see a new line indicating the appointment status or view the appointment status from the full view of the calendar card. We have added more freedom for customers as they navigate through the calendar in the Desktop Application! Easily navigate back to the current date or week with the clilck of a button. 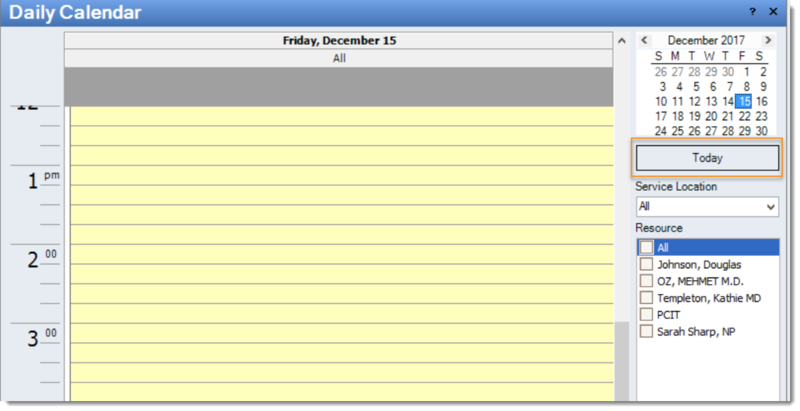 Daily Calendar View: New "Today" button will display. This button allows for immediate navigation back to "today’s" date. 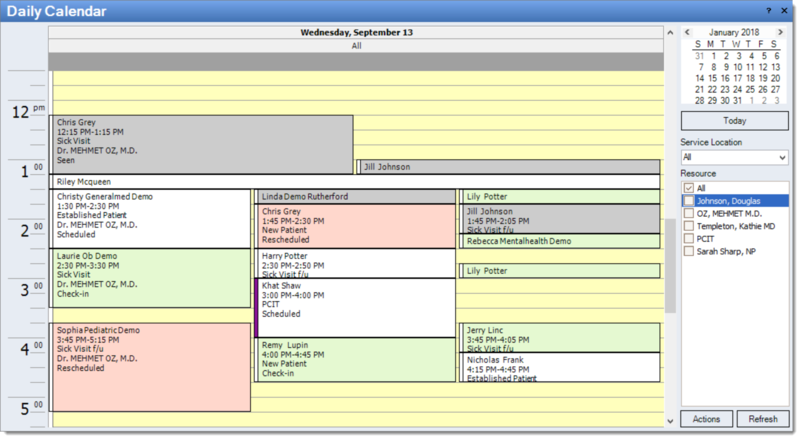 Workweek & Weekly Calendar View: New "Current Week" button will display. This button allows for immediate navigation back to the "current week". New Shortcut! For both buttons click (CTRL+T) to quickly navigate back to today's date from any date on the calendar. Fixed an issue where users would receive an error message while trying to export files that used smaller date ranges and/or single dates. Fixed an issue where all electronic claims sent from practices were not leaving Kareo for processing. Fixed an issue where a user was unable to change a Windows system clock to central time zone prior to launching the PM when executing a date of service associated with an appointment. Fixed an issue where a user was getting “request is not valid” error when doing a patient eligibility check because the patient’s birth did not match the date in their database. Fixed an issue where claims were being billed and “ACK” but showing up as “rejected” in the Claims status.